The Open Task is an upgraded task type combining features from the File Upload and Writing tasks. 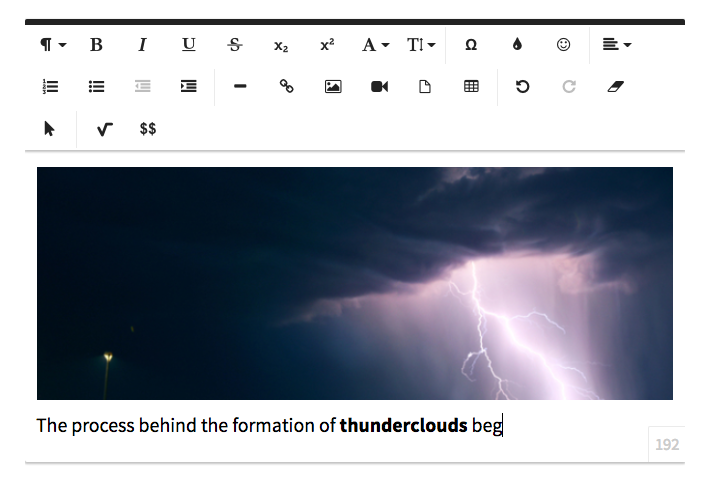 Open tasks enable rich text editing possibilities for learners such as special character palettes, options to upload different media and documents, and a word limit / word count. The WYSIWYG editor including the WIRIS maths editor makes the task especially suitable for subjects and topics requiring mathematical formulas.